kemela is a specialist HiFi retailer located down the road from fashionable Inman Park Village and within walking distance of the Atlanta BeltLine. Parking is easy and there are many excellent restaurants close by. kemela has on demonstration a very wide range of high-end audio speakers, turntables, amplifiers, DACs, network players, phonostages and much more for you to audition without obligation in our two real-sized/sounding showrooms. We are by appointment and you will need to call in advance to set up an audition, so you can have one-on one time without waiting, and we can make sure we have gear warmed up and ready. Many times we can accommodate you the same day but out of state visitors definitely must call in advance. You might be new to high fidelity home audio and looking for a great first turntable, an experienced music listener wanting an impactful upgrade, or wanting to add digital streaming and network audio technologies to your existing system. We offer not only award winning products at many price levels, but also the technical support and responsive after sales service so you can keep enjoying your music. Auditions are typically 90-120 mins and are conducted in a non-pressure manner. Answer as many questions as you wish. You will find our demos are both an educational and enjoyable experience. For more information about kemela click the "About Us" link above. kemela was established in 2001. We are extremely impressed with the Hugo M Scaler "Upscaler" a whole new product category from Chord Electronics and a technology that first appeared in the BLU mk2 CD transport. 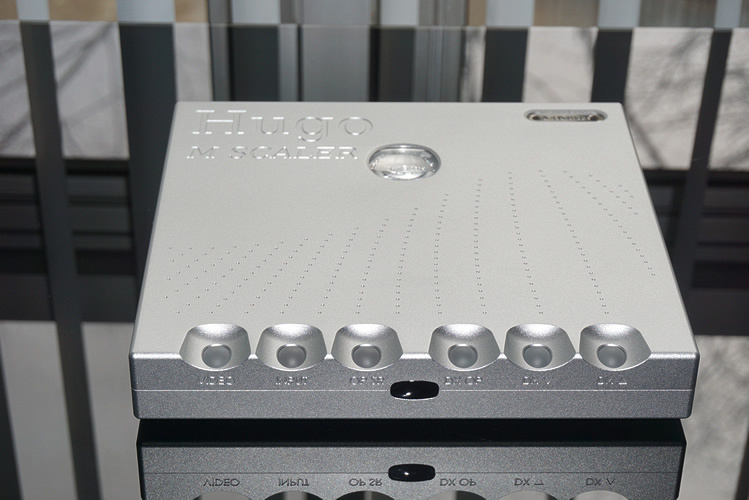 Interposing between a digital source (CD transport, Music Player, Network streamer) and a DAC, the Hugo M Scaler brings fresh clarity, soundstage organization, and artistic intention to digital source listening experience. Technological capability is often divorced from the range of formats in most people's music collections acquired over many years, yet by getting to the roots of the true requirements for accurate digital music processing, here is a product that gives you a far better rendition of well recorded 44.1kHz CDs or standard resolution music files than many disappointing hi-res recordings. With well recorded hi-res files, the M scaler will demonstrate what hi-res is all about. How a drum is struck, how the reed of a saxophone is blown, how vibrato and subtle dynamic phrasing of a singer is used to express, how individual voices add texture to a choir, how the interplay between individual musicians excites or relaxes, everything in fact that we hope to achieve in reproduced music that gets as close as possible to a real performance. 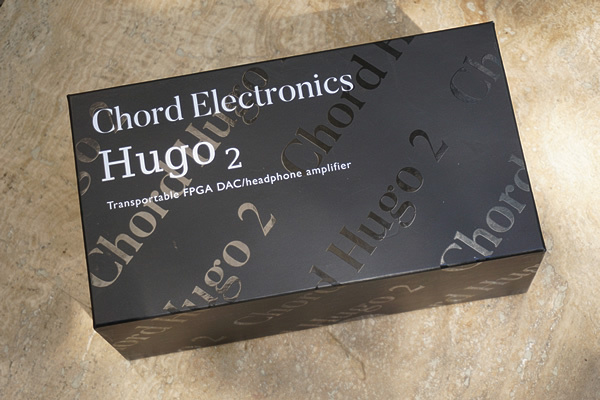 While the 768kHz-capable dual-BNC-inputs of Chord Electronics DACs demonstrate the full potential of the Hugo M Scaler, it can be used with non-Chord DACs. We also got great results from a 6-year old Chord Electronics Qute HD DAC which was forward thinking enough in design to process at 384kHz via BNC coax S/PDIF connected to the M-scaler. Simaudio's 390 Preamp/DAC/Streamer covers what you need to play music in today's environment. Add Simaudio's excellent 330A 120 watt stereo power amp for a complete two box system with MM/MC phonostage, unbalanced and balanced analog inputs, all the usual audio digital inputs including AES/EBU balanced, HDMI video digital I/O, dual ethernet and Bluetooth. Streaming services include Tidal with Tidal Masters support, Deezer with Deezer Hi-Fi support, Qobuz with Qobuz Sublime support and Tune-In Internet radio. MQA, ROON ready and Multi-room synchronized playback is engineered in and will be activated with firmware update once the partner certification process is completed. Dual Wi-Fi antennas are provided for a stronger wireless connnection and you can even stream vinyl replay from one room to another. Combining the Simaudio 390 with a pair of 400M fully balanced 400 watt mono power amps (operating in class A to 10 watts and putting out 750 watts into 2Ω) offers a supremely refined and powerful system to play all your music sources for less than $15,000. Chord are now shipping the latest version of this iconic transportable DAC/Headphone amp. Demand is very high. Melco Audio have now scaled-up production of the new N1A and N1Z mk2 models and they are now available. Only a few mk1 models are left at a generous discount. kemela was an early Melco supporter and we have a lot of experience with this product line. Updated Streaming and Network Audio examples page.